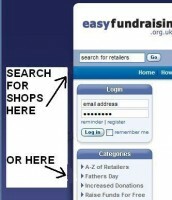 It’s completely FREE to register and you won’t pay a penny more for your shopping when you use the easyfundraising site. In fact you can even SAVE MONEY as many retailers offer discounts, special offers and even ''e-vouchers'' exclusive to easyfundraising. 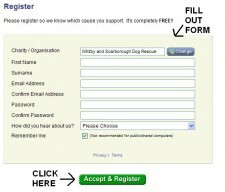 Go to http://www.easyfundraising.org.uk/whitbydogrescue and register by clicking on the “Register as a user” button. 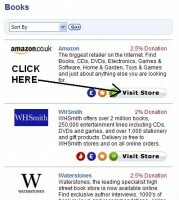 Once you’ve found the shop you’re looking for, click on “Visit Store” and shop as normal. 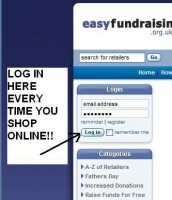 As long as you access the shop this way we will automatically receive a donation at no extra cost to you. What’s more, easysearch is a ''super'' search engine that combines the strengths of several search providers together - Yahoo!, MSN Windows Live Search, Ask.com and many more. easysearch tracks down the most relevant and accurate results from across the Web, which means you’ll find what you’re looking for quickly and easily every time - all in one ‘easy’ search. Check out our unique easysearch page at http://whitbydogrescue.whitbydogrescue.easysearch.org.uk and use it every time you search the Web.